San Jose gold Tequila is obtained after a long distillation, the guarantee of the highest quality. The blue agave used to make this premium tequila is only harvested after maturing for seven years. 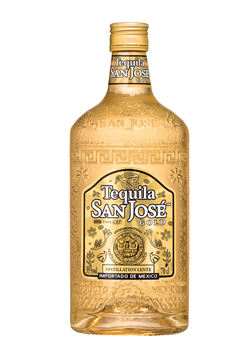 Elegant in its up market black and gold packaging, San Jose Gold Tequila posseses an intense aroma of agave, mingled with citrus fruit and honey notes.